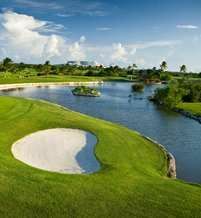 The Moon Spa & Golf Club is home to the only Jack Nicklaus Signature golf course in Cancún and is set on the rolling Cancún – Riviera Maya landscape. 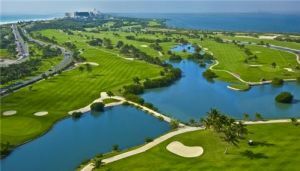 Its dynamic layout requires golfers to navigate through native vegetation as well as numerous wetlands and strategically placed bunkers. 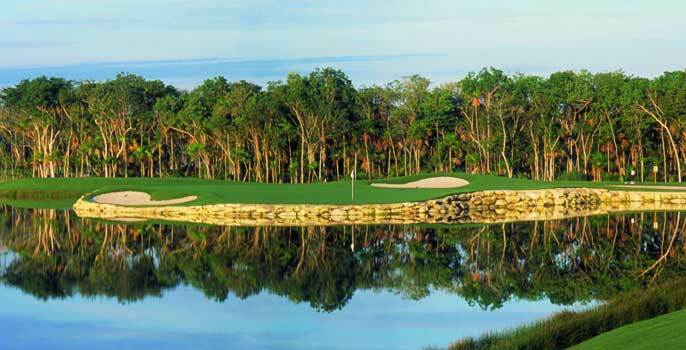 Each of the three-nine hole courses offers a distinctive environment that challenges professionals and amateurs as well. Even if you are not a guest in our resort, you are invited to play with us. 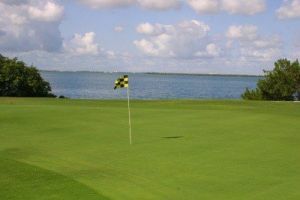 Our green fees offers transportation from anywhere in Cancun and the Riviera Maya, as well as food and beverages at the Club House, a shared cart and the snacks along the course. 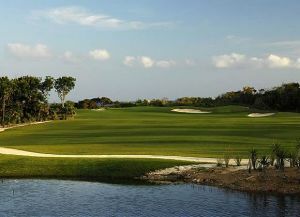 Club De Golf Moon Palace is not yet in our pool of Golf Courses for orders.